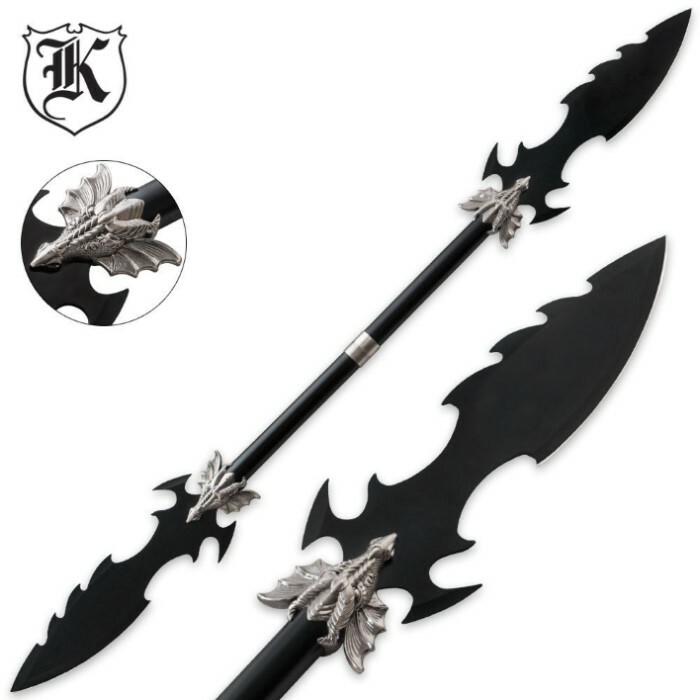 Dueling Dragons Double Blade Fantasy Spear | BUDK.com - Knives & Swords At The Lowest Prices! You've never seen a pair of dragons as fierce as this dueling duo! 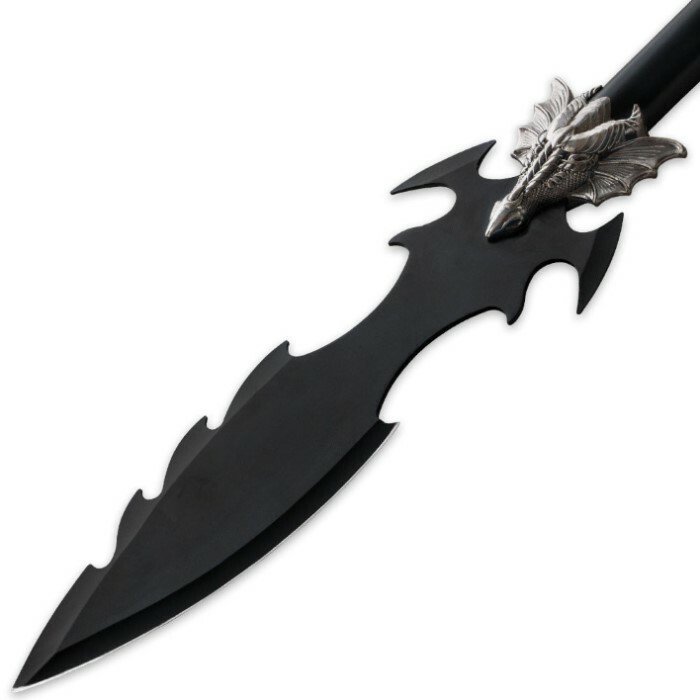 Our Dueling Dragons Double Blade Fantasy spear is fierce, featuring two 13" fantasy-style blades with razor-sharp edges. The shaft can be separated to give you two independent smaller spears or kept together at its full length of 48". The 420 stainless steel construction has a black finish with silver tone accents for a unique, two-tone approach. These dragons mean business! I don't think this counts as a spear. It's not bad overall actually and I quite like it. But the weight and balance are off so this so called spear wouldn't fly very well if thrown. But I am a fan of this weapon just don't think it qualifies as a spear.